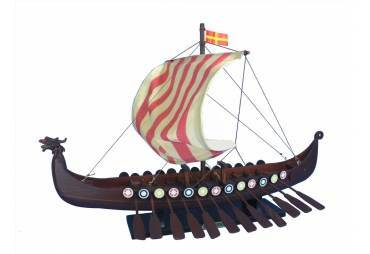 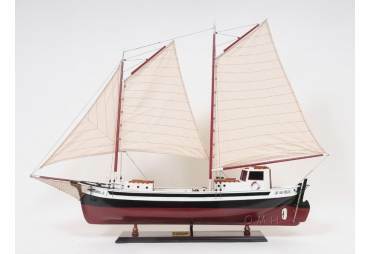 the brand new, museum quality, limited edition, scale replica Intrepid sailboat is offered exclusively. 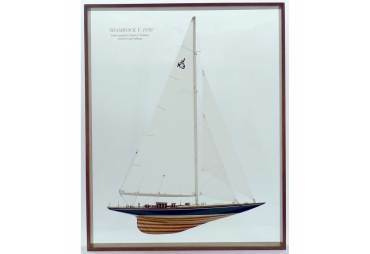 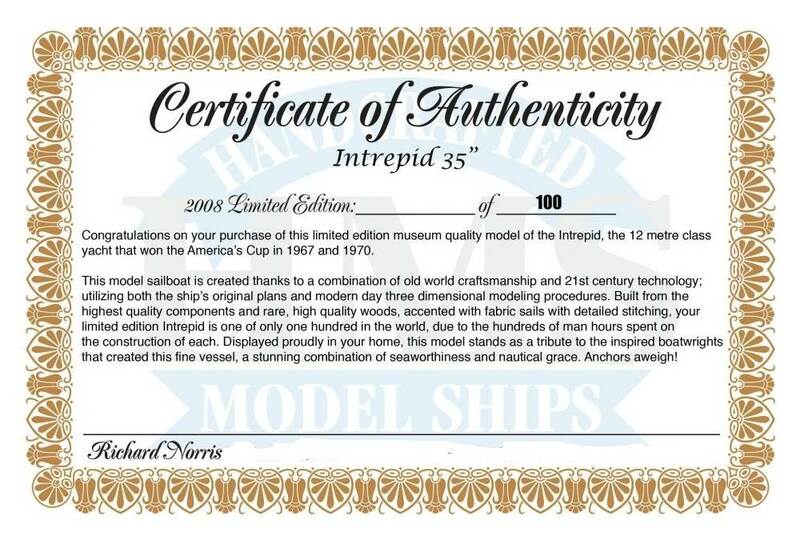 This sail boat includes a numbered Certificate of, as only 100 will ever be made. 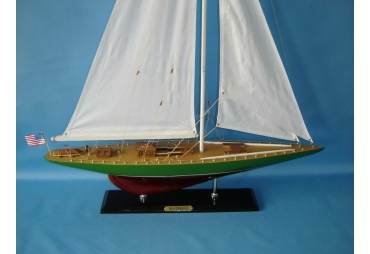 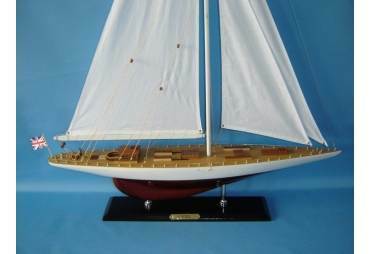 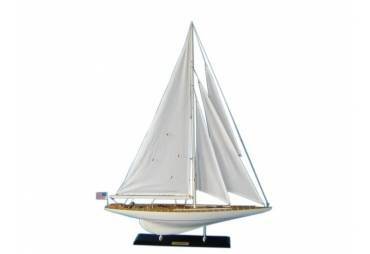 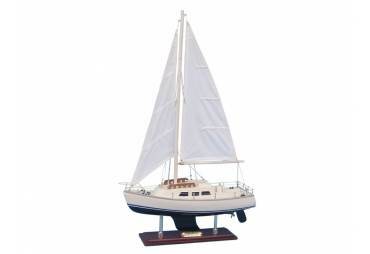 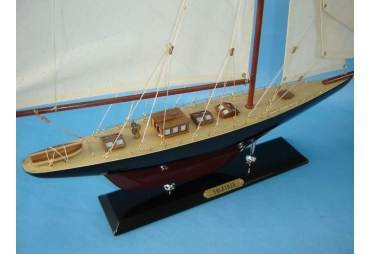 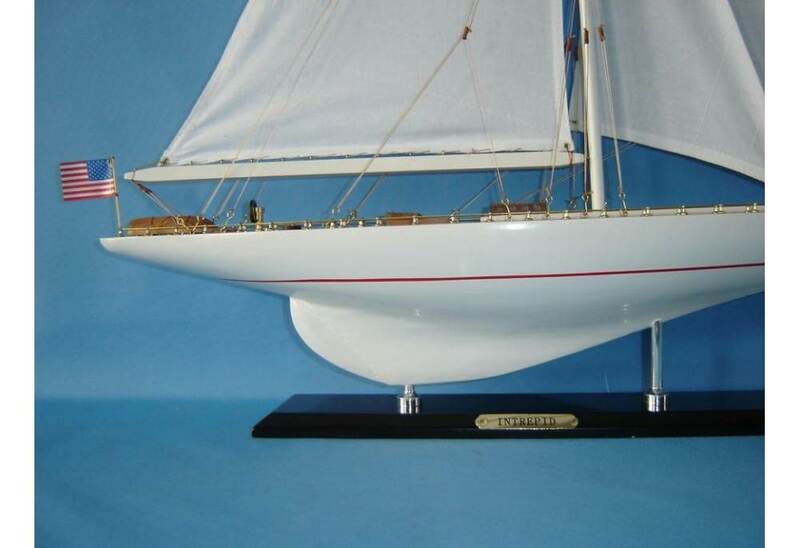 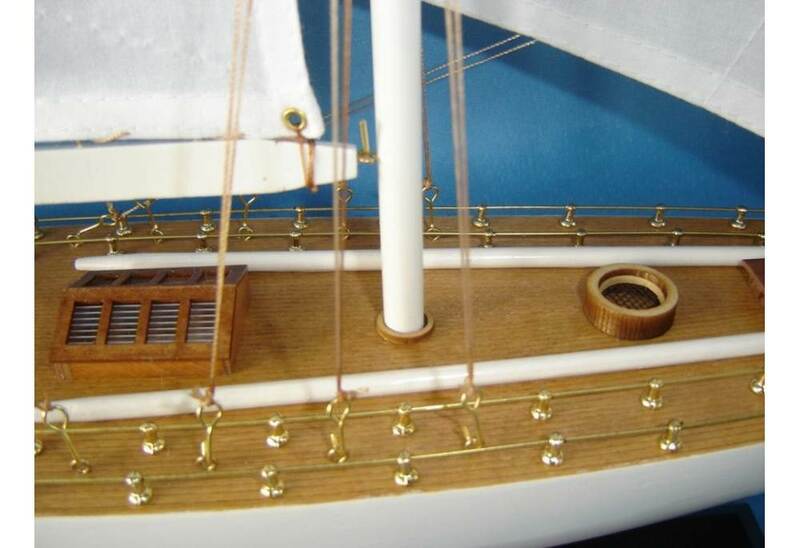 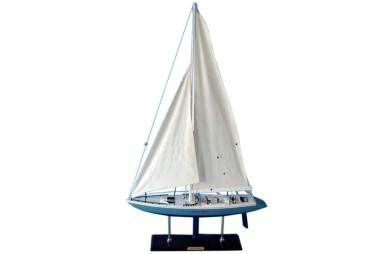 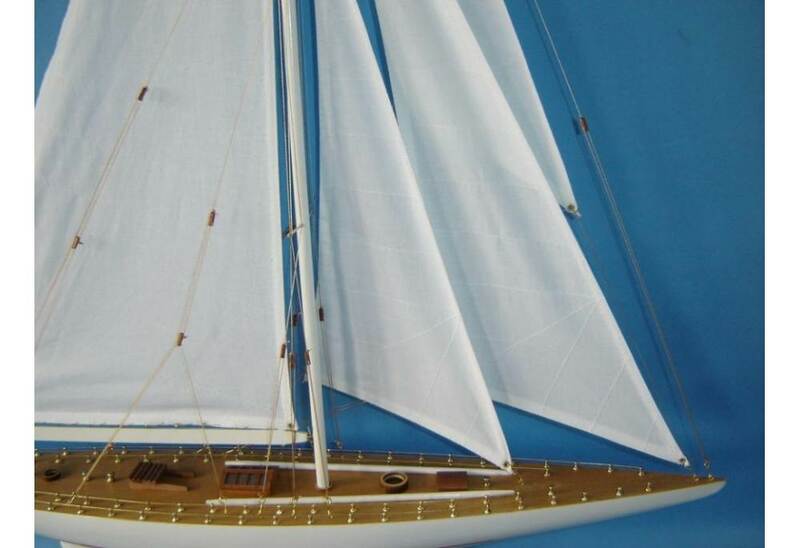 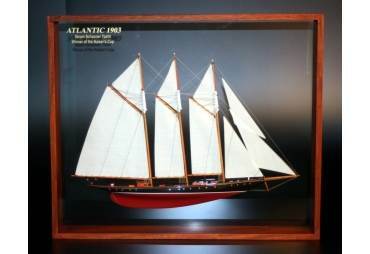 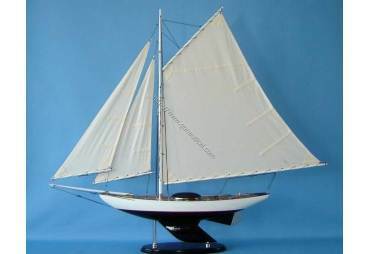 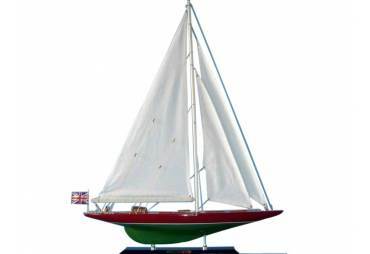 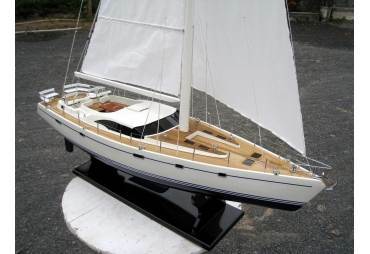 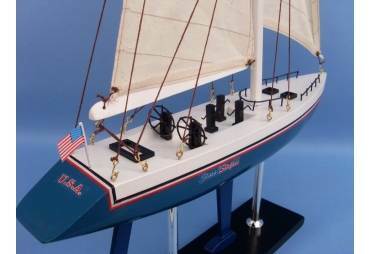 Accurate in almost every detail to the original intrepid sail boat, this intrepid sailboat offers features not available by other sellers, and has many upgrades over all other sailboat models available. 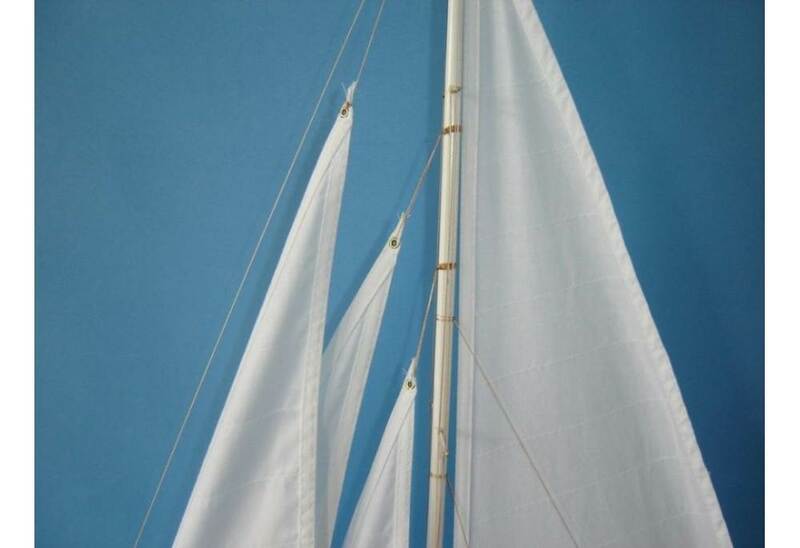 In order to hold their shape and obtain higher quality, the sails are slightly starched and higher thread-count fabric is used, similar to that of the actual intrepid sailboat at the time it sailed. 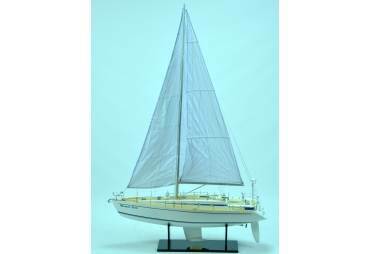 We offer three unique sail materials that are matched to the different eras of model yachts we offer. 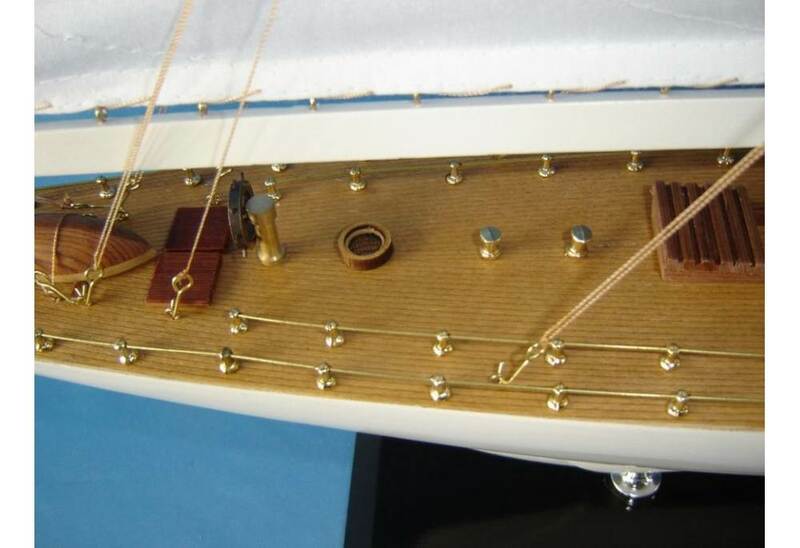 Also, additional rigging lines have been added to be more true to the actual Intrepid sail boat. 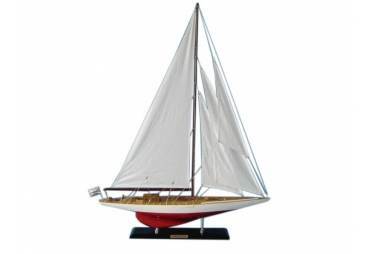 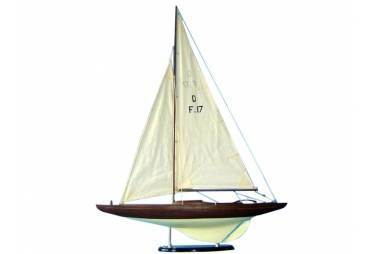 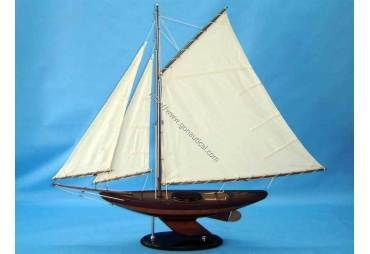 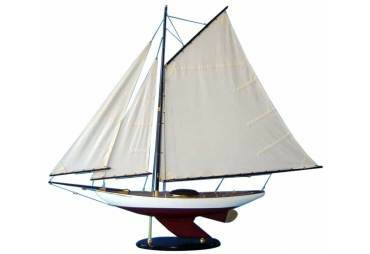 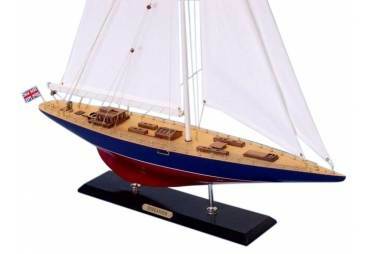 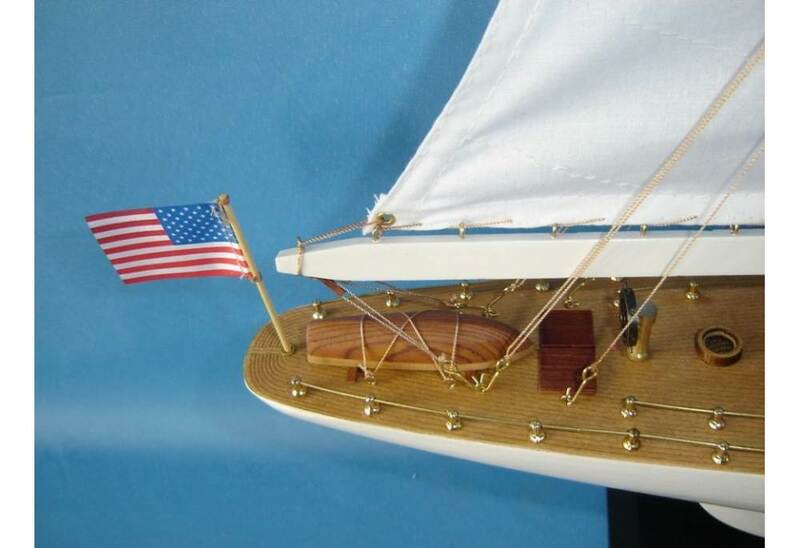 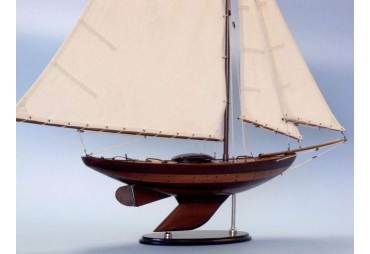 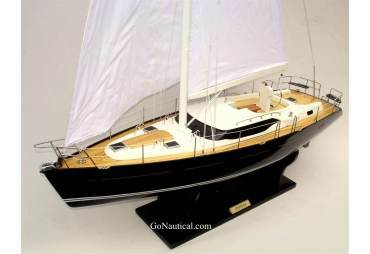 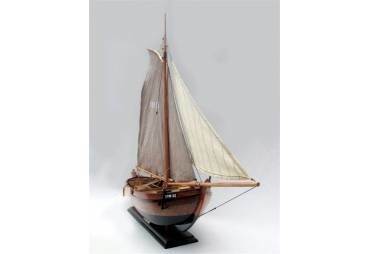 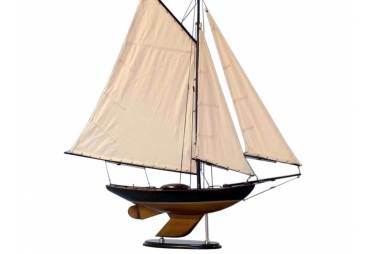 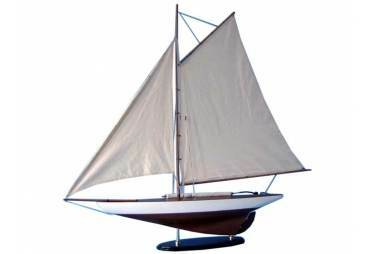 Our Intrepid model sailboat is made with the finest quality woods. 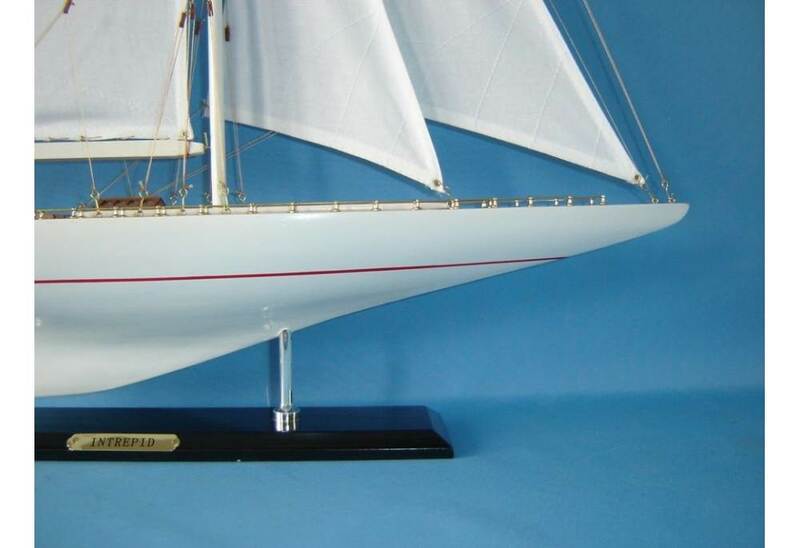 Painted by hand to match the actual color scheme of the Intrepid America's Cup sailboat. 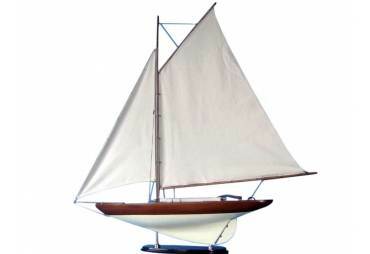 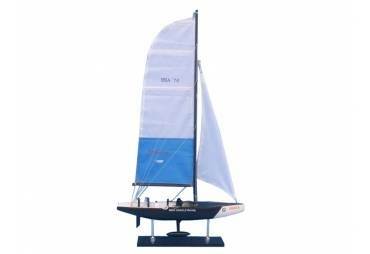 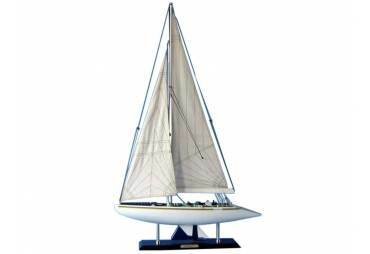 Intrepid America's Cup sailboat model has Sails fabricated with high detailed stitching. 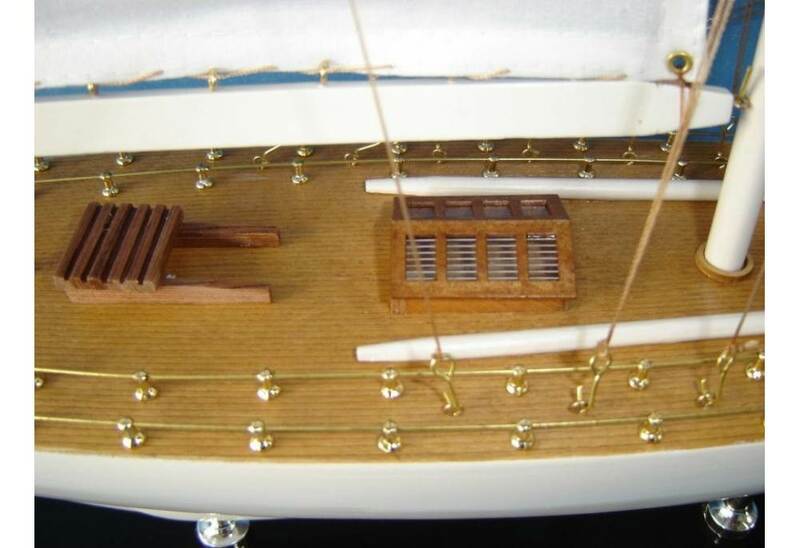 For the production of this ship model, a wide range of sources was used such as museums, drawings, copies of original plans and photos of the actual intrepid yacht. 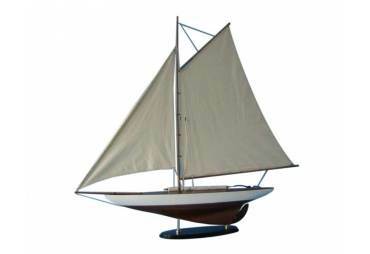 Visit our Frequently Asked Questions or call with questions.